Color: Please select Black/Red(BR). Black/White(BW). White/Black(WB). White/Green(WG). 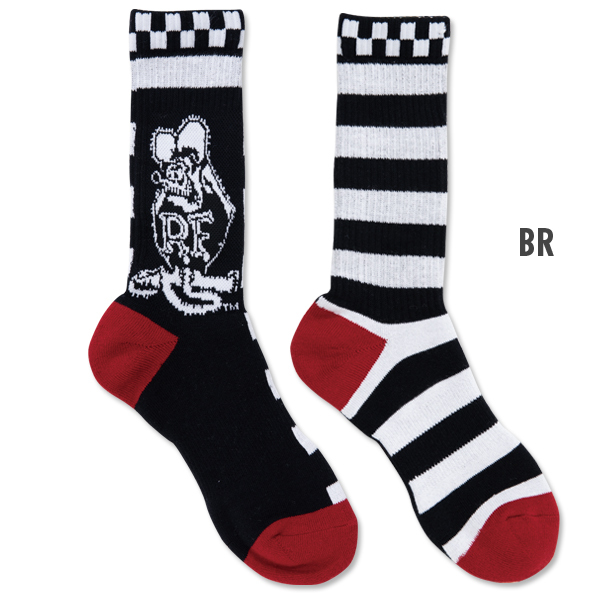 Playful socks of Rat Fik with outside Standing Rat Fink and inner side border. 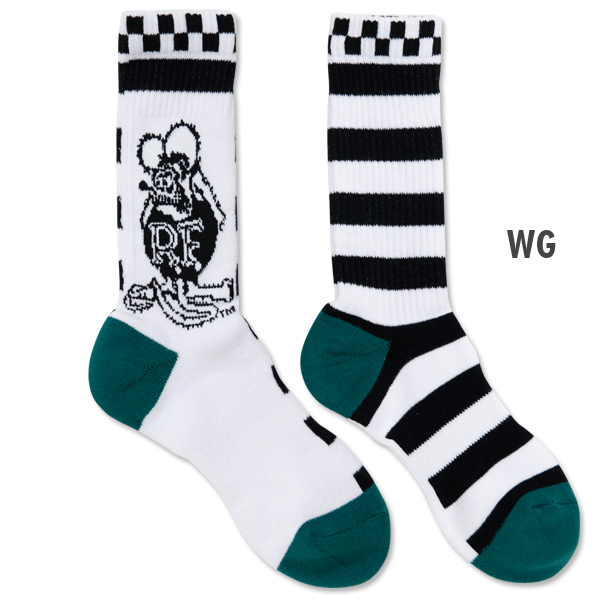 At first glance it is just a normal Rat Fink socks but, it is CQQL with accent of border. 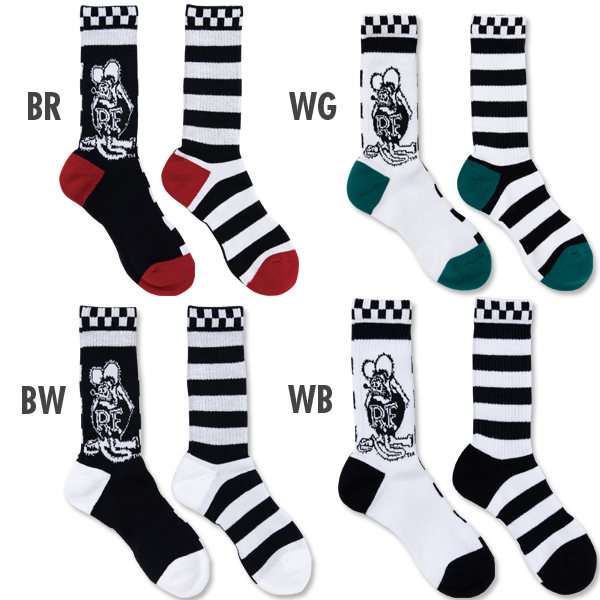 The top part of the socks is checker and, you can feel the Rat Fink and HOT ROD everywhere. 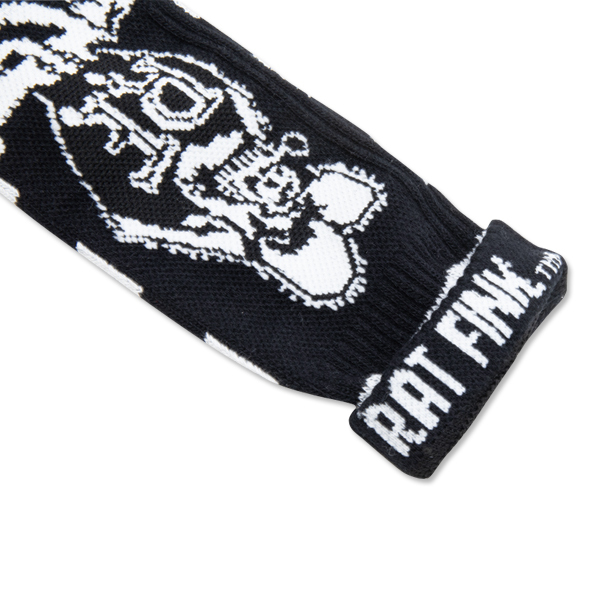 Additionally, if you flip over the top checker part, there is the Rat Fink wording!! 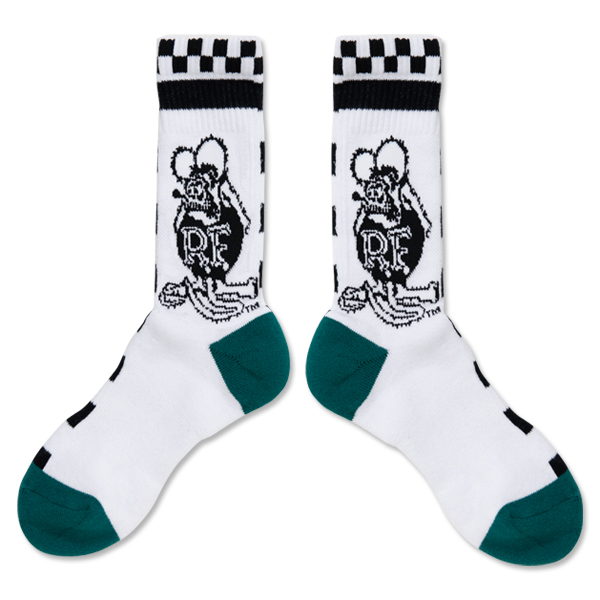 Get attention around your foot with this Rat Fink socks! It is a thick socks so, you can use it daily and also perfect for outdoor and sports scene.